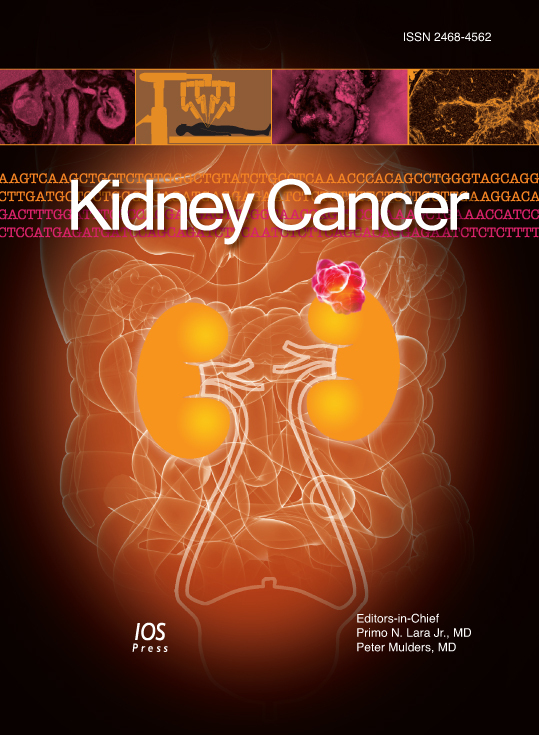 The Clinical Trials Corner of the Kidney Cancer journal aims to present results from recently published trials and draw attention to ongoing studies in the field of renal cell carcinoma. We hope that this section of the journal will help in the recruitment process of the trials and highlight new, possibly practice changing results. If you would like to inform us on a specific clinical trial, please do not hesitate to contact us on mbparikh@ucdavis.edu or kca@iospress.com. This is a phase 2 open label European multi-site study enrolling patients with metastatic collecting duct or medullary carcinoma which is histologically confirmed, who are treatment naïve in the metastatic setting, > 18 years of age, and with adequate end organ function. Once enrolled, patients receive gemcitabine plus a platinum salt plus bevacizumab. If patients achieve disease control on this regimen, with either stable disease or a partial or complete response, then treatment is continued with bevacizumab monotherapy until progression. Though there is increasing awareness of the heterogeneity of RCC, collecting duct carcinoma has long been recognized as a separate entity, amounting to <1% of all kidney cancers. This subtype has been noted because of its aggressive behavior, and low likelihood of responding to conventional RCC regimens. Platinum-based chemotherapy has typically been used, extrapolating largely from treatment of urothelial carcinoma. As such, and on the basis of a preceding Phase I trial, a Phase II trial is evaluating the combination of gemcitabine, platinum agent, and bevacizumab in patients with metastatic collecting duct carcinoma. The primary outcome of the trial is a composite endpoint of objective response rate (RR) and progression-free survival (PFS) rate at 6 months. Secondary endpoints include PFS, overall survival (OS), and toxicity. This phase 2, randomized, multicenter, open-label trial (ECOG AREN1721) is enrolling patients with histologically confirmed unresectable or metastatic tRCC of patients age >1 years, as long as Body Surface Area is >0.53 m2. Patients may not have received VEGF-targeted therapies or anti-PD-1 or anti-PD-L1 antibodies, but other therapies are allowed. Patients will be randomized to 1 of 3 arms, receiving either axitinib and nivolumab (Arm A), axitinib alone (Arm B), or nivolumab alone (Arm C). Patients will be treated to progression or until 2 years if there is disease control. A total of 4 years of follow-up is planned. Translocation Renal Cell Carcinomas (tRCC), characterized by Xp11.2 translocation or TFE3 gene fusions, represent a rare subset of metastatic RCC with a poor prognosis. Patients tend to present at a younger age, and while rare in adults, tRCC represent about half of all pediatric RCCs. Historically, patients with this RCC subtype have highly aggressive disease, which tends to be refractory to typical RCC therapies. However, there are no formal treatment recommendations for this disease, and previously, no prospective trials had been conducted to study this subtype. The primary endpoint of the trial is PFS. Antitumor immune response and stability of T cell activation will be studied in an exploratory fashion. The study will also study the clinical behavior for up to 4 years of translocation morphology renal cell carcinoma. Nivolumab is an established therapy for treatment of advanced RCC (aRCC) after progression on antiangiogenic therapy after the findings of the CheckMate-025 study. The CheckMate-214 trial established the efficacy of nivolumab combined with ipilimumab in intermediate- to poor-risk metastatic RCC but with the tradeoff of increased toxicity as compared to single agent immune checkpoint inhibition. There are also no studies which have addressed the optimal duration of this type of therapy in mRCC, and it is not known if the benefit of combining nivolumab with ipilimumab is derived from combined treatment upfront, if these drugs can be sequenced, or if ipilimumab can convert a non-responder to nivolumab to a responder. There are co-primary endpoints in this trial – the proportion of patients with durable CR/PR at 1 year after nivolumab discontinuation in Arm A and proportion of patients with SD or PD who convert to CR/PR at 1-year after addition of ipilimumab to nivolumab (Arm B). Progression-free survival (PFS), OS, salvage therapy-free interval, safety and immune related objective response rate (irORR) will also be determined as secondary endpoints. The findings of this Phase II study will help to guide the design of future trials evaluating immune checkpoint inhibitor therapy. For example, if Arm A indicates that a favorable proportion of patients have a durable CR/PR after discontinuation of nivolumab, this would warrant a more robust trial to determine the optimal duration of nivolumab. If Arm B of this trial finds that a promising proportion of patients convert to CR/PR after the addition of ipilimumab, this could indicate that we may be able to spare some patients from the toxicity of combined immunotherapy without sacrificing efficacy. This phase III, randomized, double-blind, multicenter trial (IMmotion010) is enrolling patients with clear cell or sarcomatoid RCC at high risk for RCC recurrence after radical or partial nephrectomy, with lymphadenectomy allowed in select patients, high risk defined as T2N0M0 Fuhrman Grade 4, T3aN0M0 Fuhrman Grade 4 or higher, T3b/c & T4 with any Fuhrman grade, or any T stage or Fuhrman grade with lymph node positive disease. Similar to the KEYNOTE-564 trial, complete resection of limited synchronous or metachronous metastases is permitted. Patients are randomized 1:1 to receive either atezolizumab or placebo every 3 weeks for 16 cycles or 1 year unless there is unacceptable toxicity or disease progression. Patients will be stratified by stage and PD-L1 status. Much as the aforementioned study, this study seeks to evaluate the role of immune checkpoint inhibitor therapy in the adjuvant setting. Atezolizumab, an anti-PD-L1 antibody, has demonstrated activity in the metastatic setting in RCC, in particular in combination with bevacizumab in the IMmotion150 and IMmotion151 trials. The primary endpoint of IMmotion010 will be DFS as assessed by independent review facility (IRF). The secondary endpoints will be overall survival, and investigator-assessed DFS. IRF-assessed and investigatory-assessed DFS will also be evaluated based on tumor-infiltrating immune cell (IC) levels. The KEYNOTE-564 and IMmotion010 trials will evaluate the role of immune checkpoint inhibitor therapy after definitive surgical intervention, but the results of these trials will be of particular interest to contrast to the ongoing PROSPER trial which was discussed in the last issue of Kidney Cancer. PROSPER is based on the hypothesis that the primary tumor and its microenvironment is critical to the effectiveness of immune checkpoint inhibitor therapy; thus, that trial is administering nivolumab, an anti-PD-1 antibody, for two cycles prior to proceeding to nephrectomy. All three trials are evaluating DFS as a primary endpoint, though all will report OS as a secondary endpoint. The results of these trials may be revealing in terms of the interplay between the tumor microenvironment and immunotherapy, with potential to optimally treat localized RCC and reduce the risk of recurrence and mortality from the disease. This is a phase III, randomized, double-blind, multicenter trial (KEYNOTTE-564) evaluating the efficacy of pembrolizumab compared to placebo in improving survival in patients who have undergone a partial nephroprotective or radical complete nephrectomy with intermediate- to high-risk clear-cell RCC, as defined as pT2N0M0 disease of Fuhrman Grade 4 or with sarcomatoid features, pT3N0M0 disease of any grade, pT4N0M0 disease of any grade, or any pT stage with N+, M0 disease. Patients with M1 disease who have completely resectable disease in a synchronous or metachronous fashion are also eligible. Those with residual thrombus post-nephrectomy in the renal vein or vena cava are excluded. Surgery must have been performed within 12 weeks prior to randomization. Patients will be randomized 1:1 to receive either placebo or pembrolizumab every 3 weeks for up to 17 cycles unless there is disease recurrence or unacceptable toxicity. Patients will be stratified by metastasis stage. While strides have been made in the treatment of metastatic RCC, there remains no standard adjuvant systemic therapy that has demonstrated an overall survival benefit in the non-metastatic setting. Most patients with intermediate- to high-risk advanced RCC will progress within 3 years following nephrectomy. Pembrolizumab, an anti-PD-1 antibody, has demonstrated benefit in treating metastatic RCC. It is thought that there may be benefit to immune checkpoint inhibitor therapy after resection of localized disease, the hypothesis being that such therapy may allow for eradication of micrometastatic disease and thus translate to improvements in disease-free (DFS) and overall survival (OS). The primary outcome of the trial is DFS by investigator assessment, with OS as a secondary endpoint. OS will also be assessed by PD-L1 expression status. PROSPER RCC (EA8143) is a global, un-blinded, phase 3 study which will examine if perioperative nivolumab in combination with radical or partial nephrectomy can improve clinical outcomes in patients with high risk localized and locally advanced RCC. 766 patients with clinical stage ≥T2 or node positive M0 RCC of any histology will be enrolled. T1 tumors are allowed if signs of clinical node positivity. Tumor biopsy prior to randomization is mandatory to ensure RCC but also permits unparalleled correlative science. Randomization is 1:1. Patients are stratified by clinical T stage, node positivity, and histology. Patients on the investigational arm receive two doses of nivolumab prior to surgery followed by adjuvant nivolumab for 9 months. The adjuvant dosing will be every 2 weeks for 3 months then transition to every 4 weeks x 6 months for enhanced quality of life. The control arm will receive standard of care surgical resection followed by observation. The primary endpoint is recurrence-free survival. The study is also powered to evaluate a significant increase in overall survival with the addition of perioperative PD-1 blockade. Safety, feasibility, and quality of life endpoints critical to adjuvant therapy considerations will be evaluated. PROSPER RCC exemplifies team science with a wealth of embedded correlative work aimed at investigating the impact of the baseline immune milieu, the changes induced by neoadjuvant anti-PD-1 priming, and how both correlate with clinical outcomes. As of 2018, there remains no standard adjuvant systemic therapy that increases overall survival over nephrectomy alone for patients with non-metastatic RCC. Nivolumab is an antibody against PD-1 that can improve overall survival in metastatic RCC and is well tolerated. Moving this agent earlier in the disease course to improve clinical outcomes makes sense but requires a thoughtful approach. Within the primary tumor and its microenvironment, there is an ongoing but unsuccessful anti-tumor immune response. Work in murine models has shown that post-PD-1 blockade, anti-tumor CD8 T cells may preferentially expand in these areas and traffic to distant sites, developing into memory cells (Woo Cancer Research 2012). Nephrectomy may remove the majority of these effector cells and cytokines thereby inducing a less potent immune response. Mouse solid tumor models have revealed an overall survival benefit with a short course of neo-adjuvant PD-1 blockade compared to adjuvant therapy alone (Liu Cancer Discovery 2016). In humans, ongoing phase 2 studies of perioperative nivolumab in M0 RCC patients are showing preliminary feasibility and safety with no surgical delays or complications (NCT02575222; NCT02595918). The success of PROSPER RCC requires a thoughtful disruption of the current practice of upfront surgery followed by consideration of adjuvant systemic therapy. Given the mechanism of action of nivolumab, it makes sense to engage the patient’s immune system by priming with nivolumab prior to surgery when there is significant target (i.e., tumor antigen) in place. This change in practice has strong potential to increase cures, delay time to recurrence and improve overall survival in patients with high risk non-metastatic RCC. This is a phase III, open label, randomised, multicentre study investigating the efficacy and safety of savolitinib compared to sunitinib in patients with MET-driven, unresectable and locally advanced or metastatic papillary renal cell carcinoma (pRCC). Patients can have had treatment previously (not sunitinib or MET inhibitors) or be treatment naïve. pRCC carries a poor prognosis and typically responds less well to standard therapies than clear cell RCC. It is frequently excluded from large scale clinical trials and as such there is little data on the use of specific therapies in this patient population. A single arm phase II study (NCT02127710) evaluating savolitinib, a new MET inhibitor, in pRCC showed an overall response rate of 7% with good tolerability. The response rate was better in those patients with MET-driven tumours irrespective of pathological classification. The primary endpoint for this study is progression free survival (PFS) defined as the time from randomisation to progression or death. There are several secondary endpoints in this study including overall survival (OS), defined as time from randomisation to death by any cause; objective response rate including all patients with complete or partial responses based on RECIST 1.1 criteria; the duration of any response achieved and the disease control rate (number of patients achieving complete or partial responses or stable disease according to RECIST 1.1). Papillary cell cancer is poorly represented in clinical trials and the inclusion of patients with papillary cell cancer in this trial provides an interesting option for a difficult to treat subtype of RCC. 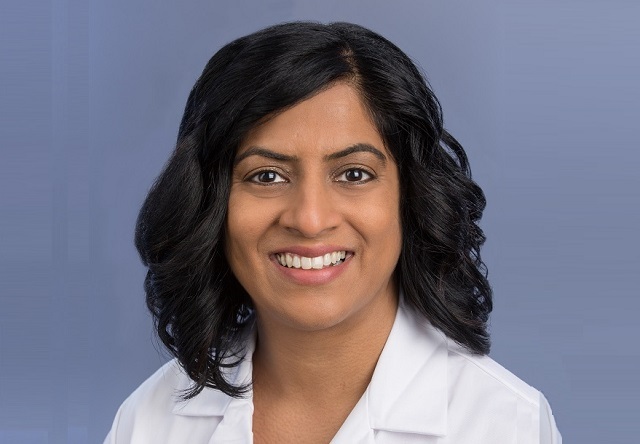 Standard therapies have typically performed poorly in pRCC and savolitinib may provide a more effective and well tolerated option for MET-driven pRCC. The purpose of this study was to determine the safety, efficacy and optimal dose of Nivolumab in combination with Sunitinib, Pazopanib, or Ipilimumab for the treatment of metastatic renal cell carcinoma (mRCC). Patients in the immune combination arm were randomly assigned to one of three dosing options: nivolumab 3 mg/kg plus ipilimumab 1 mg/kg (N3I1), nivolumab 1 mg/kg plus ipilimumab 3 mg/kg (N1I3), or nivolumab 3 mg/kg plus ipilimumab 3 mg/kg (N3I3). This is an open-label, dose-escalation, phase I study that investigates for the first time, the efficacy and safety of immune combination therapy PD-1 inhibitor nivolumab and CTLA-4 inhibitor ipilimumab and nivolumab in combination with a tyrosine kinase inhibitor (TKI) in mRCC. Primary Endpoints: Safety and tolerability of Nivolumab plus TKI or Nivolumab + Ipilimumab measured by the incidence of adverse events, serious adverse events and laboratory abnormalities. Secondary Outcome Measures: Efficacy of Nivolumab plus TKI, or Ipilimumab measured by Objective Response Rate and duration of response according to Response Evaluation Criteria In Solid Tumors (RECIST) 1.1. Safety and efficacy results from the immune combination nivolumab plus ipilimumab arms of the study were recently published (Hammers et al.). Patients in the N3I3 arm were censored due to dose-limiting toxicities. Forty-seven patients were treated in the remaining two immune combination arms. Almost 40% in the N3I1 arm and approximately 60% of the N1I3 arm patients presented grade 3 to 4, treatment-related adverse events. The objective response rate was 40%, with a 2-year overall survival of approximately 70% in both treatment arms. This study showed that immune combination treatments in mRCC are safe and present promsing efficacy with durable responses in patients. A Phase III study of Nivolumab combined with Ipilimumab versus Sunitinib monotherapy is currently (NCT02231749).